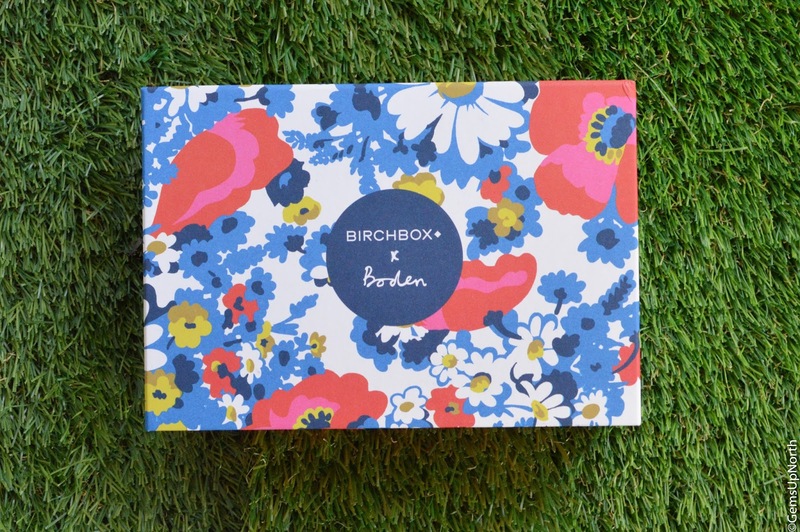 April's Birchbox brought bold and bright florals and the drawer box design is back!! 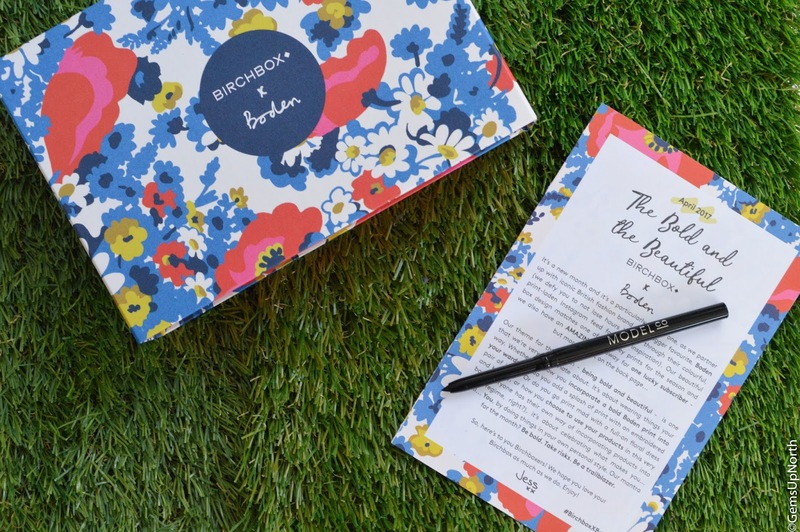 Boden have collaborated with Birchbox this month and the box design features one of their key prints for the season, which screams Spring and happy vibes! I seriously love the drawer design and have a growing tower of Birchboxes on my dressing table which holds lots of makeup products so I'm always happy when us subscribers receive the drawer boxes especially when there as pretty as this months. This months pick me item was a makeup product from Manna Kadar Cosmetics, the choices was either a high definition powder or a bronzer/highlighter duo; I went with the powder. 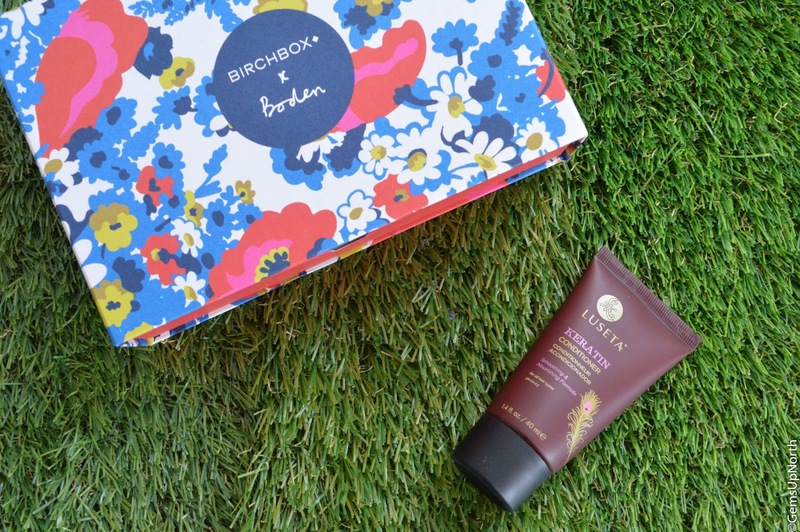 My box arrived quickly as usual, I never have a problem with my Birchbox delivery. I couldn't wait to open my box and see what beauty treats was inside, I knew there would be two full size makeup products included as we was all told this via the sneak peaks. I opened my box to find only 3 items inside and none of them was my makeup items!! Disappointed wasn't the word so I got straight onto Birchbox via email, I got a reply the next day saying they was sorry the items was missing but they couldn't send the Manna Kadar powder as it was now out of stock but I could have the duo bronzer/highlighter or 50 Birchbox points and the missing ModelCo liner would be sent to me. I told them I was disappointed and didn't really want the duo so would take the points. My ModelCo liner arrived the Saturday after but this also was a little disappointing, I saw other subscribers receive a Nip&Fab corrector product and I would of loved to get one of these instead of the liner. The one advantage this liner has is that you don't have to sharpen it as the twist up motion does that for you. ModelCo is a brand I've sampled through beauty boxes and magazine freebies but I've never actually bought from them; I find their products a little over priced for what they are. This liner is waterproof and quite easy to apply, I didn't mind wearing this liner on my waterline and it left a deep black shade with a couple of sweeps across my eye; the liner dries very very quickly as well. The product took a little longer to remove than my usual liner, I had to rub my eyes more and use more remover which I didn't like. I think £11.00 for this liner is too much as I get the same results with a cheaper product but I do like the self-sharpening element. 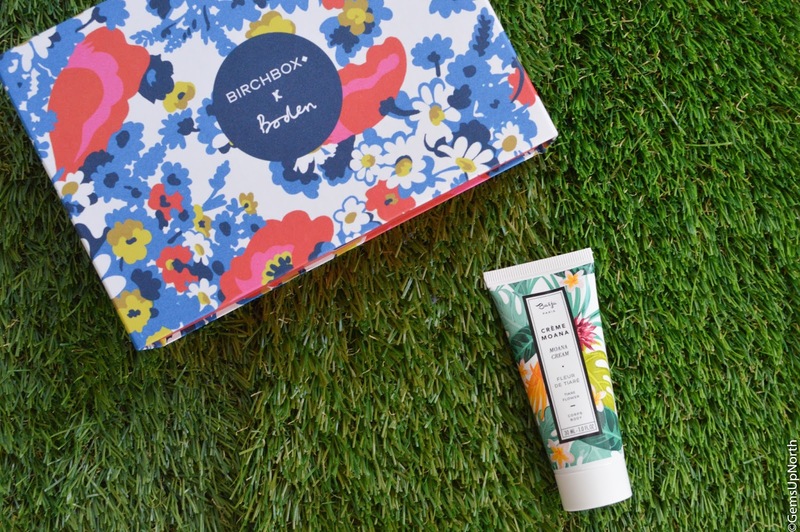 Polaar has been featured in Birchbox a couple of times before but I've never tried one of their scrubs before. I really like this gentle scrub because of the soft effect it has on my skin. I've used this a few times since receiving it and each time the scrub is kind to my skin, the Arctic Cotton is known to have moisturising properties so you can exfoliate and smooth your skin with this product. I really like the fresh cotton scent too, it sort of reminds me of fabric softener with a slight floral scent. This travel size product is a third of the full size so its a decent size to receive. I'm a little overrun with moisturisers lately but I always sample my beauty box products even if I don't use them up straight away. This Baïja Paris moisturiser has a very strong scent which is just too much for me. The texture of the product is thin and a little goes a long way so it would last a good amount of time, the moisturiser also soaked into my skin quickly meaning I didn't have to wait for it to dry before getting dressed. Unfortunately with the strong floral scent I don't think I will be using this item up, I'll pass it onto my mum or a friend for them to use. As all my readers know by now I'm always looking for new smoothing hair products to try, my hair is now blonde so keeping it looking blonde means topping up it with hair dyes/toners/silver shampoos often which means I need to look after my dry and sometimes damaged hair. I am already a fan of Keratin hair care products so I was excited to use this conditioner on my damaged ends. After just one use my hair was feeling softer and after a few more washes it was getting better and better. Combined with my favourite hair oil, my hair is well on the way to fully a smooth and damage free look; think I will be purchasing a full size bottle of this Luseta Beauty conditioner. Even after sampling my products this month I am still disappointed about my missing items as I really was looking forward to trying the Manna Kadar high definition powder and sampling a new brand too. My box design was amazing and I will use up 2 out of the 4 products as I doubt the liner will make its way into my permanent makeup collection and I'm giving the moisturiser away. Next month Birchbox have let us pick another makeup item in the form of a cream eyeshadow, I've already made my choice; I just hope all my products turn up this time. 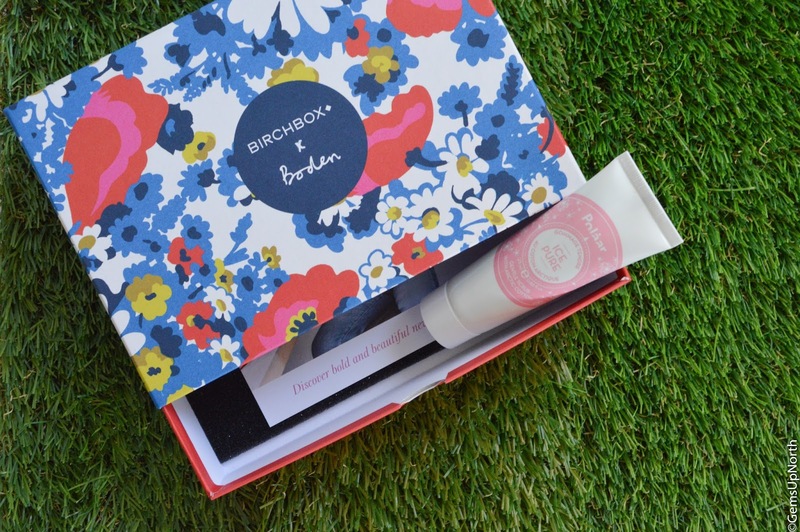 Want to sign up to Birchbox to receive May's box with a full size cream eyeshadow in your chosen shade and grab £5.00 off your first box, use my referral link here. Look out for May's review next month!